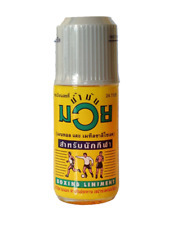 This unique massage cream is used by Thai boxers, kick boxers and athletes around world. It’s a must for any training session or competition providing that warmth to relax the muscles before or after any strenuous exercise. Trending at C $8.41eBay determines this price through a machine-learned model of the product's sale prices within the last 90 days. 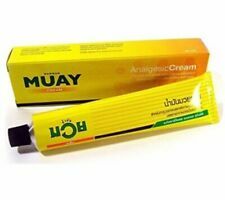 Muay Thai Oil, Namman Muay, Yellow Massage Oil Cheapest. Size : 120 cc. Quantity : 1 bottle. Condition : New 100 %. The goods will reach you fast or slow is depending on the custom of your country. by your country local custom. Active ingredients FREE Trial! (You will receive the final price only). PART # 95SMB. 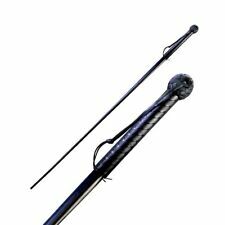 The weight, speed and flexibility of the Sjambok’s lash does all the work, and little skill or training is required to wield it effectively. BLADE LENGTH No. OVERALL 42". STEEL / MATERIAL Kray-Ex™ Handle with Extruded Black Plastic Lash. 5 out of 5 stars - Cold Steel 95SMB Sjambok Black 42"
11 product ratings11 product ratings - Cold Steel 95SMB Sjambok Black 42"
This unique massage cream is used by Thai boxers, kick boxers and athletes. odor, and you’ll be ready for action. 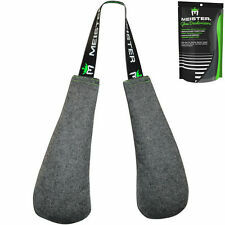 This product can be used as a warm up tool or simply apply to those tired, aching or mildly injured muscles. The desert chain knunchaku is great for all ages. The ball bearing swivel and foam padding make it easy to use and to practice with. It is 15” long and 2” thick. 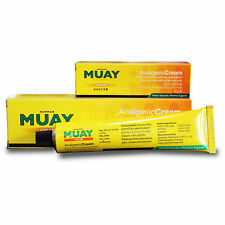 Suitable as a massage oil to relieve muscles, tendons, joints. suitable as a warmimng up massage oil, easy to spread. Massage oil is ideal for warming up muscles before exercise, as a precaution against injury and regeneration after excercise. I will provide prompt and satisfactory solution to you. Camo in the desert... Especially discreet in your hand! The Super-White Lace N Loop lets the user of a lace-up boxing glove lace themselves up! Sports bag embroidery kyokushin karate. 3 colors. The subject of sale is a sports bag with kyokushin karate embroidery. On the flap of each bag is kyokushinkai embroidery in the Japanese subscription. bags, under or over Japanese embroidery. Perfect for training or traveling. Also included in a front strap allowing the wearer to tighten the bag when in use. However we are not able to service warranties. If there is a problem, we will solve it. Voltaren Emulgel Relief Muscle Back Neck Pain Sprains Inflammation Instant 50g. Voltaren Emulgel Massage Relief Muscular and Back Instant Neck Pain Ache. Materials on Disc 2 are printable, including all curriculum and certificates. The training material is designed to teach weapons seminars in the Polynesian art of Arnis to individuals without club attack experience. 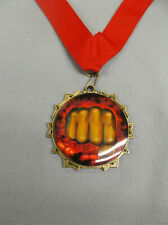 Shown here is a Japanese "Karate" hachimaki headband. 36" x 2.5". Compared to the other Japanese- style headbands on the market, it is superior in quality. The fabric is soft cotton with double layer and comfortable when wearing. Each bottle is 2 ounces. For External use only. The keyring who's discreet without going unnoticed!